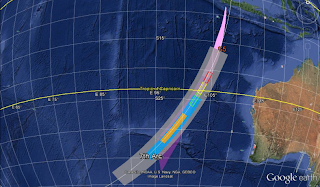 26 June 2014, Canberra, Australia - Australian Deputy Prime Minister Warren Truss announced a new search area for Malaysia Airlines flight MH370. 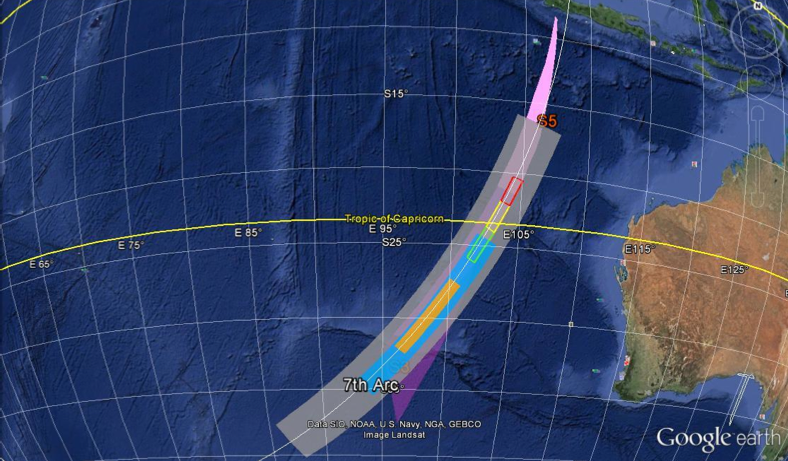 Based on a revised analysis of information from the aircraft and from the Inmarsat satellite, this new search area is several hundred miles away from the areas that were extensively searched from late April to late May of this year. The new primary search area is about 60,000 square kilometers, which is about the size of the state of West Virginia, or the nation of Norway. The area to be searched is previously uncharted, and a three-month charting effort involving two ships is currently underway. The underwater search effort will commence in August, and is expected to last 12 months. To date, no physical or photographic evidence from the aircraft has been recovered from the surface or the bottom of the ocean, and Australian officials, who are in charge of the search effort, have concluded that acoustic signals that were the focus of the earlier underwater search during April and May of this year are unlikely to have been associated with the missing aircraft. A new and more extensive analysis of data from the Inmarsat satellite, and analysis of the performance of the aircraft, led to the identification of the new search area. The analysis team, which included satellite and aircraft specialists from Boeing, the NTSB, Inmarsat, and several other organizations, uses the limited data that was transmitted between the aircraft and the ground, radar and other flight data from the early part of the flight, and combined that information with the known behavior of the aircraft's systems, to determine the new search areas. The search areas were identified using the aggregate result of five independent analyses. The recently released report stated that after normal communications between the aircraft and the ground ceased, and after the last recorded radar contact with the aircraft, that there were nine satellite communications attempts either to or from the aircraft. Two were unanswered ground to air telephone calls, and seven were 'handshake' signals between the aircraft and Inmarsat. These signals consistent of short messages with no significant data about the aircraft speed, position, or status. An analysis of the seven handshake signals allowed the authorities to estimate the distance the aircraft traveled. The timing of last transmitted handshake signal was consistent with a shutdown of the engine electrical generators due engine flameouts due to fuel starvation. Earlier in the week, on June 23rd, Todd Curtis of AirSafe.com was interviewed on CJOB radio in Winnipeg, Canada on the progress of the investigation. Part of the interview concerned recent statements by the Malaysian authorities that if the plane was lost by deliberate action, then the captain would be the main suspect.